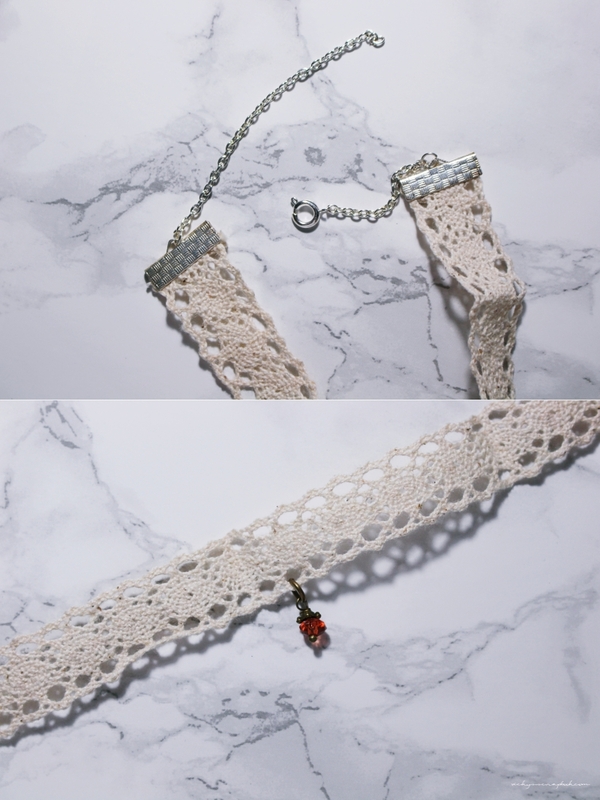 So I’m back to making more chokers. 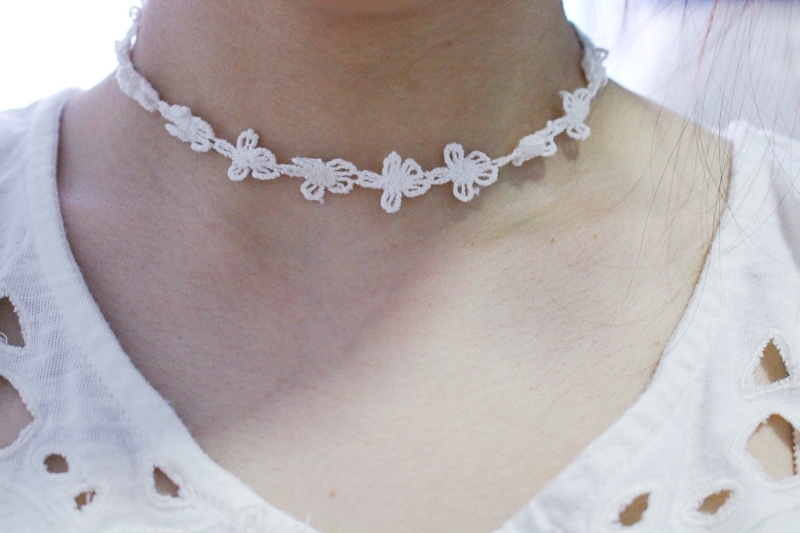 I saw quite a few lace choker necklaces at online retailers such as ASOS and they look simple enough to make. I cut out a piece of the lace to fit the neck but not all the way around. I wanted to leave some room in the back of the neck since it’s summer and I’ll sweat. 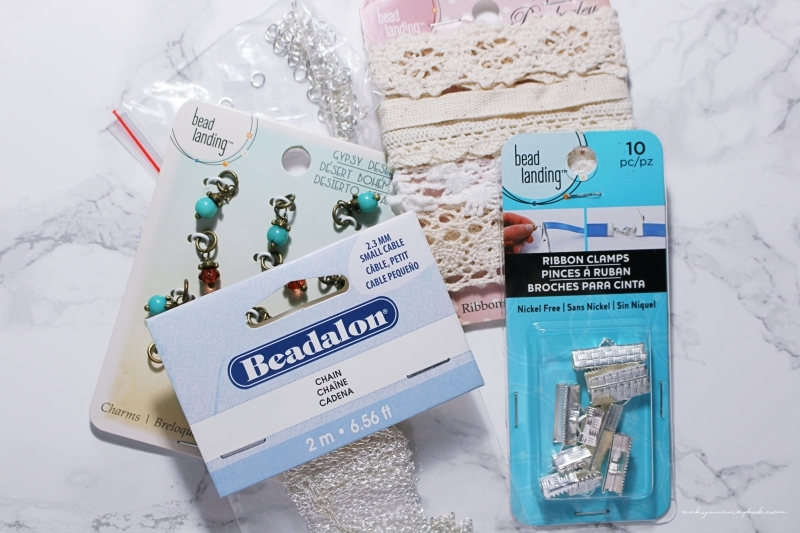 Then, I simply attached two ribbon clamps onto the ends (and to make sure that the ends are folded in once so that the clamps have enough to catch onto). For the chains, I used one longer piece and one slightly shorter piece. The spring clasp goes on the shorter piece. Then, they get attached onto the ribbon clamp via a jump ring. To finish it, I attached a bead to the middle. 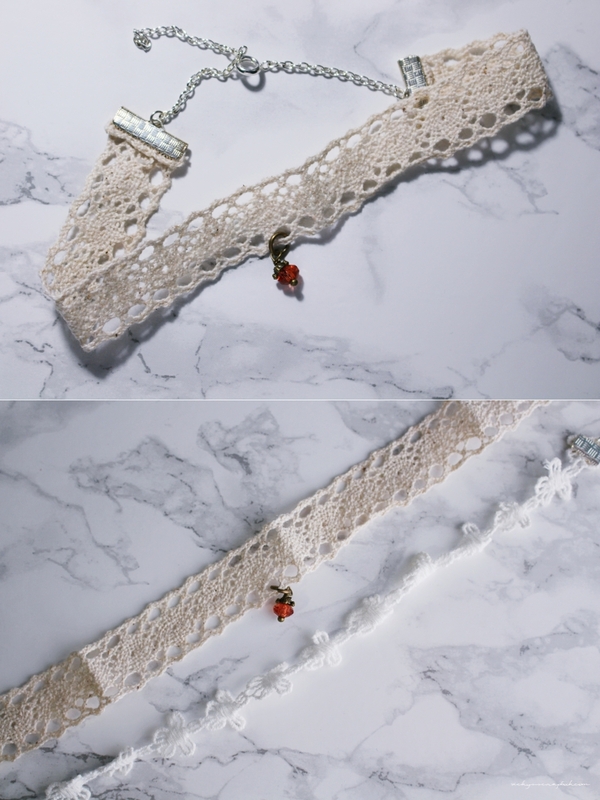 I also made another one but with a white lace ribbon and I didn’t attach a bead to this one. I ended up wearing it this past weekend and found that it matches very well with light colored outfits. If you haven’t already noticed, I just really love this 90s necklace trend. Are you also a big fan?